Discover the WILD flowers of the Garden through botanical illustration with Nina Antze. 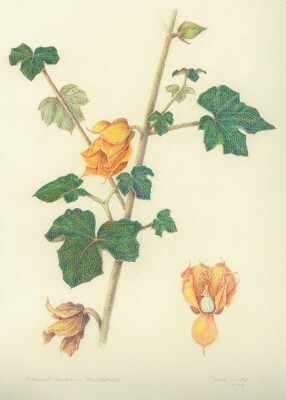 Learn and practice colored-pencil techniques with a selection of California and Mediterranean wildflowers, and some surprise beauties from the Garden's unique collection. Live blooms will be provided or you may bring your own favorites. If weather permits, class will lunch outside and experience nature first hand. All drawing levels welcome. A supply list will be provided. Bring a lunch. Note: Attendee names are optional.